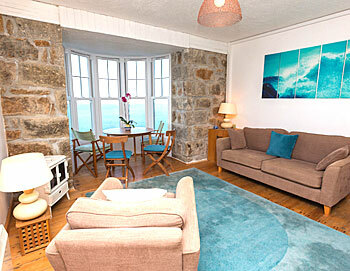 8 Sennen Heights, Sennen Cove, West Cornwall. 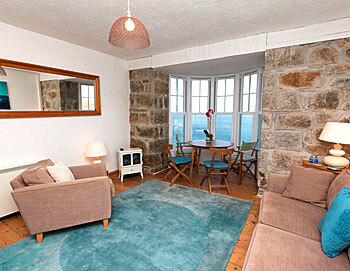 8 Sennen Heights is a fantastic, modern apartment providing amazing views of Sennen Cove from the harbour to the beach. The apartment sleeps 4 in one master bedroom and one twin bunk room. 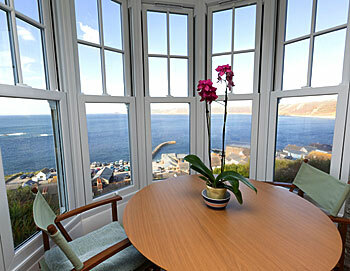 both of these rooms provide beautiful sea views; what a way to start the day! There is a bathroom with large walk in shower and the open plan lounge and kitchen area is a light and airy space perfect for relaxing and watching the world go by below. 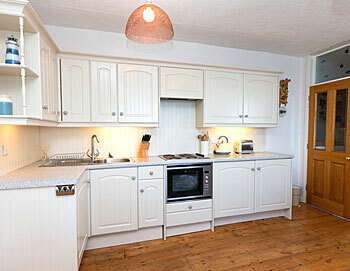 The kitchen is well equipped with a hob and combi oven, fridge and freezer. The apartment is heated throughout with night storage heaters. The lounge has a TV and DVD player and there is WIFI access. ** Dogs are permitted off season between October and March at a charge of £30 per dog. 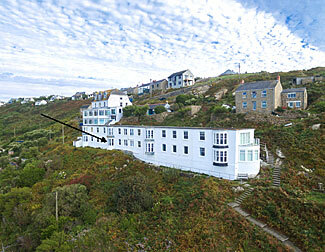 The apartment is accessed from the steps behind the Harbour car park and is not for the faint hearted. Unfortunately, due to the location, the apartment is not suitable for wheelchair users or very easy for prams. 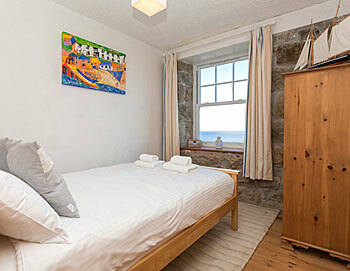 However due to the nature of the access the apartment is very secluded and quiet. Please be aware of this when booking. There is a parking space for the apartment located at the far end of the Harbour car park but there are cases when this is used by members of the public! There is a pot of change in the apartment to reimburse you if you need to pay for car parking.